Cannington Detectives are seeking information regarding a serious assault that occurred in Carlisle on Saturday 16 March 2019. Around 9pm, a 16-year-old boy was out the front of his home address along Solar Way when he observed an unknown man attempting to force entry to a vehicle parked in the street. The boy went inside and alerted his parents before they all went outside. The man fled the area towards Fletcher Park and the boy ran after him. The man turned towards the boy and assaulted him, smashing a glass bottle on his arms and head. As a result of this incident the victim received serious injuries to his hands and minor injuries to his head. He was treated at Royal Perth Hospital. Police have released a composite image of a man who they believe may be able to assist them with their investigation. 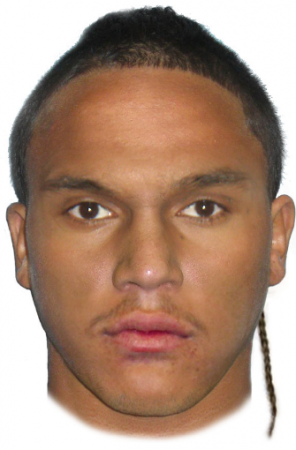 The man is described as dark skinned with a medium build, 183cm tall, 18-21 years of age with black hair and a rats tail. He also had short black facial hair. The man was last seen wearing a light hooded jumper, black waist bag worn over the shoulder and dark long pants. If you have any information about the identity of this man or details of this offence please contact Crime Stoppers on 1800 333 000 or report online at www.crimestopperswa.com.au. You can remain anonymous if you wish and rewards are available once charges are laid. Please quote Reference Number 9207.